Ride a Trishaw with Economics Alumni! Join members of the Department of Economics, past and present at “Ride a Trishaw”! 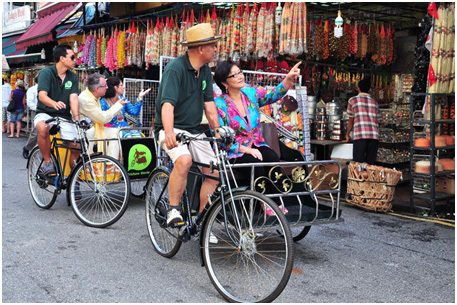 In an effort to raise funds for the Economics Alumni Bursary Fund, the Economics Alumni Committee has put together this event where NUS Economics Alumni will cycle or ride 30 trishaws from Waterloo Street to Marina Bay and back. Established in 2009, the Economics Alumni Bursary is awarded to Second Year students majoring in Economics. Each recipient receives an amount of S$2,000. 6.15-6.45 pm: Light supper. All riders to wear Department of Economics t-shirt. 7.00 pm : Start of trishaw ride. Follow the one marshal for every 10 trishaws. 30 trishaws have been sponsored by NUS Economics Alumni and supporters. 8.00 pm : Return to trishaw station. 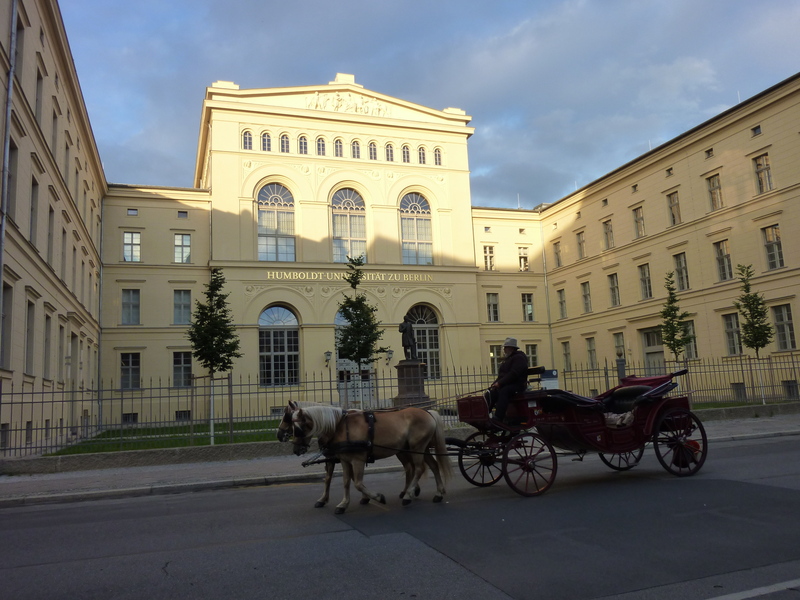 The Berlin Summer School is an intensive two-week program organised by the Berlin Graduate School of Social Sciences (BGSS) at the Humboldt- Universitat zu Berlin and the Social Science Research Center Berlin (WZB). 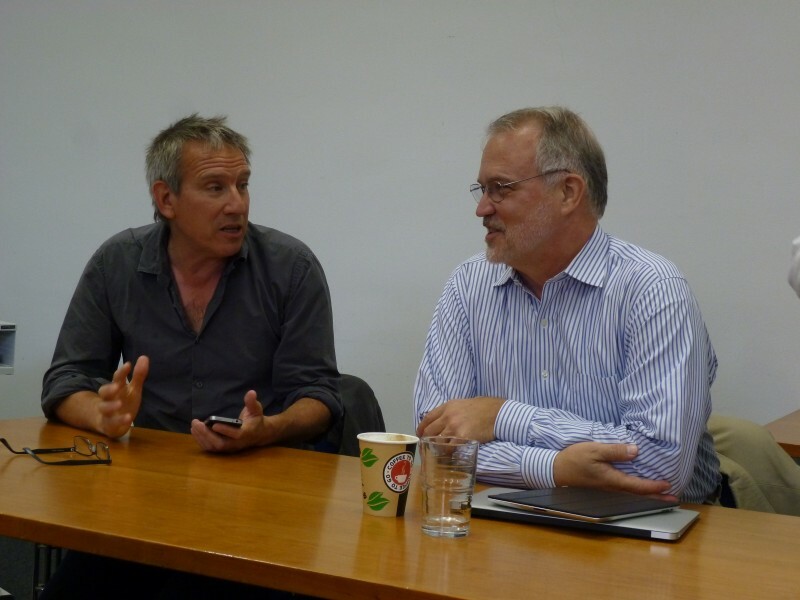 It is intended to be a venue for discussion between and among young and senior scholars, so the former can develop an even deeper understanding of the linkage of theory and empirical research. It’s pretty selective in choosing participants, and they look for research topics that can fall under the themes of Democracy and Democratisation, Social Inequality and Welfare, Civil Society, and Politics, Economy and Society in a Globalising World. 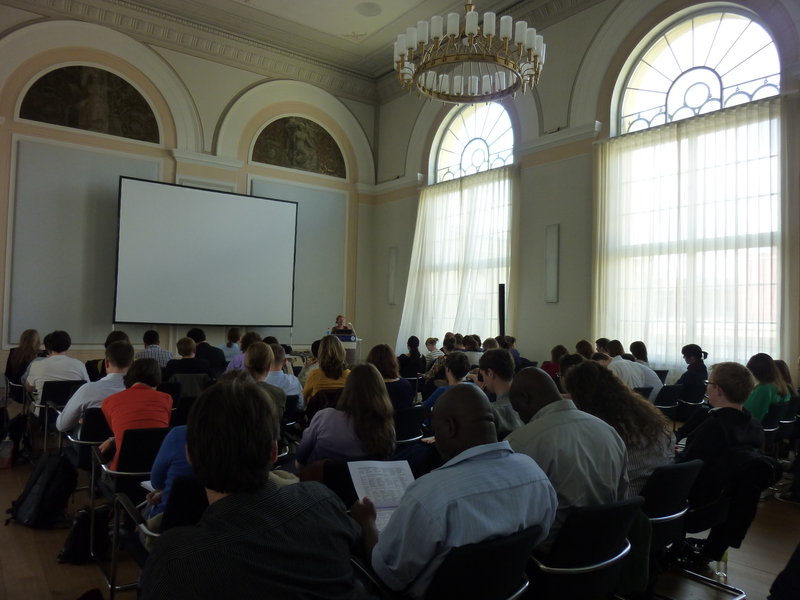 In this year’s summer school (July 15 – 27, 2012), there was a mix of big lectures, small group discussions, one-on-one consultations with senior professors, poster presentations and dialogues between the 30 participants from universities around the world. The first week involved lectures and/or debates between senior academics including Donatella della Porta and Ronald Inglehart on “Concepts as Building Blocks of Theory”, Peter Bearman and Craig Calhoun on “Linking Micro- and Macro- Perspectives”, Delia Baldassari and Henry Bradly on “Causation and Explanation in the Social Sciences”, Mark Bevir on “Epistemological Implications of Methodological Paradigms”, and the insightful keynote- lecture from Prof.Dr.rer.soc. Klaus Eder. 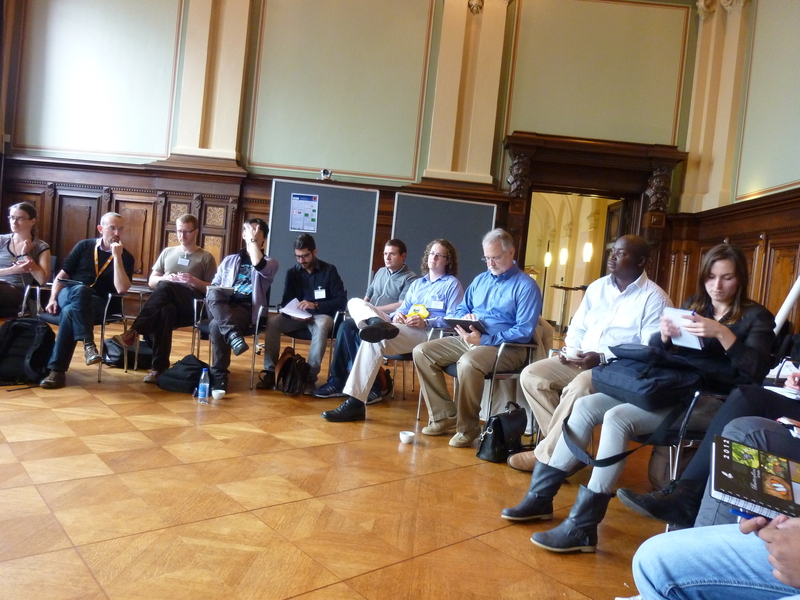 These were apart from the more intensive theme-based lectures and small- group discussions on the second week. The program made sure that each of the participants would have the chance not only to talk about their research but also receive substantial feedback. 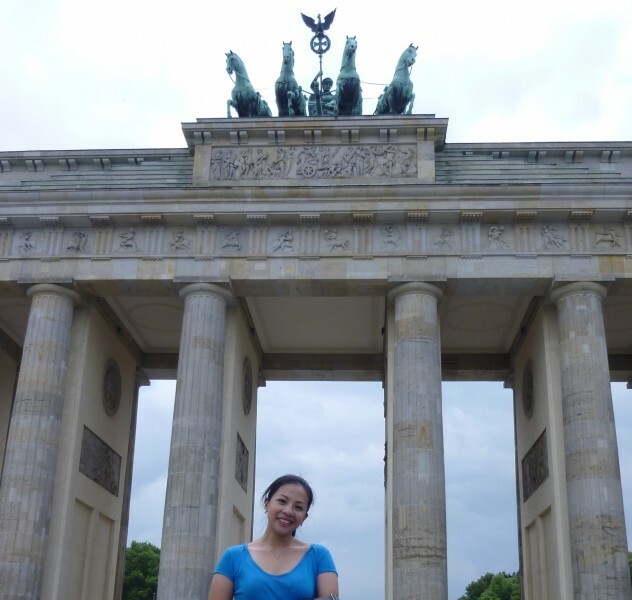 It was also a great bonus that the Summer School was in Berlin where you are surrounded by so much history that reminds you of the best and the worst that humanity can do. After the hard work put into the presentations and discussions, participants would be hard-pressed in choosing where to visit in order to know the city and its stories further, or to just sit back and take a break. 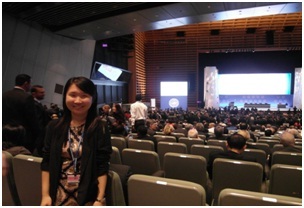 It was indeed an honour for me to have been selected by the International Monetary Fund (IMF) to represent Singapore as a sponsored Youth Fellow at the IMF World Bank Annual Meetings 2012 in Tokyo, Japan. My experience at the youth dialogue, meetings, plenary session, as well as interaction with youths, academics, civil society representatives and senior management of the IMF and World Bank was truly amazing. It was a once in a lifetime experience, and will become a memory that I will treasure deeply years down the road. 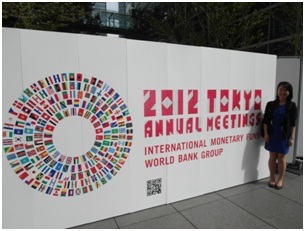 Including myself, there were altogether 11 IMF Youth Fellows. 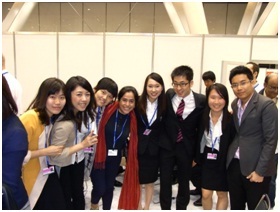 Seven of them were Japanese students who were finalists of an essay competition that was held in Japan. The other three students came from China, Korea and Thailand. There was some diversity amongst this group, and such diversity really allowed us to learn from one another – be it about economic issues or politics in each of our countries. I believe that one of my biggest takeaways from the meetings is the friendship that was forged between myself and the other Youth Fellows. One of the highlights of the meetings for the Youth Fellows was the high-level Youth Dialogue titled “Asian Youths: Voicing Their Future” with the IMF Managing Director, Ms Nemat Shafik, and Nippon Television Corporation host, Ms Saki Yagi. 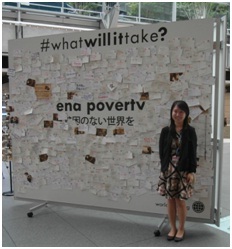 The session was actually live webcasted via the IMF website and later televised on Japanese national TV! I personally posed two questions to Ms Shafik during the dialogue – relating to underemployment as education levels in societies increase, as well as how Asia can grow peacefully and cooperatively to foster greater economic growth as a region. Aside from the Youth Dialogue, I also participated in more than ten different dialogue sessions and meetings. 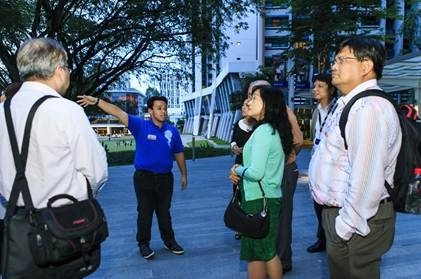 At a dialogue session with IMF Deputy Managing Director, Mr Naoyuki Shinohara, which included Asian Fellows from various civil society organisations, I was asked by Mr Shinohara to share about the ageing population in Singapore. As I also had the privilege of working at the Ministry of Trade and Industry earlier this year on a project relating to ageing and productivity, I further shared with the group some of the policies that Singapore have adopted to try to ameliorate the impact of ageing on productivity and economic growth. 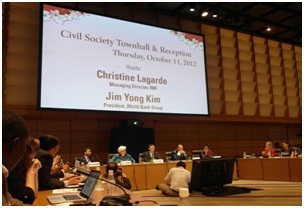 Also, I had the extreme privilege of attending the Civil Society Organisation (CSO) Townhall session with IMF Managing Director, Ms Christine Lagarde and World Bank President, Mr Jim Yong Kim. I will never forget how it felt to be sitting at the same table as them! That aside, Ms Lagarde spoke about how the IMF is evolving to adapt to a changing global environment, while Mr Kim gave his full commitment to ending poverty – a message that he strongly believes in and has launched an entire campaign for. Last but not least, one of the final events I attended was the plenary session – the session that is attended by all governors, Ministers of Finance, CSO representatives and management officials of the IMF and World Bank. 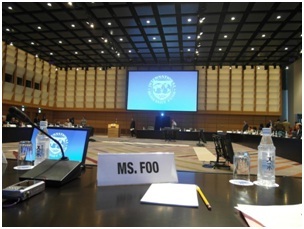 The meetings allowed me to better understand the roles that the IMF and World Bank play in international development. I had rare opportunities to interact with senior officials of the IMF and World Bank, and for that I am truly thankful. However, I think my biggest takeaway from the meetings is not from the formal dialogues or sessions, but rather, the engagement that I had with people I met. The interaction with diverse peoples during the period of the meetings inspired me deeply. Many of the people I spoke to were leaders in development in their countries. They were people who were working to provide the most basic necessities to people in their country; people who were advocating education for women in countries that discriminated against females; people who were empowering youths by providing them with opportunities to learn and even start a business. These people were deeply engaged in their society and truly passionate about what they were doing. It was indeed an honour to have been able to speak to them and hear about their experiences. I loved that these meetings were so international, allowing me to interact with people from countries I never thought I would meet. At a lunch session, I spoke to a Bangladeshi professor about women’s rights in Bangladesh. Before the CSO Townhall session started, I talked to a Nigerian CSO leader who shared with me his personal story of setting up his development organisation after he was released from jail, and how his son was entering law school. A female professor from Afghanistan told a group of us Youth Fellows that she enjoyed hearing our views during the Youth Dialogue and that she was delighted to meet us. To conclude, these experiences are truly unforgettable to me. The personal relationships forged and stories shared are what I will remember years down the road. For this, I am truly thankful to NUS for nominating me as a representative, and for giving me this chance to learn from such a diverse group of people. 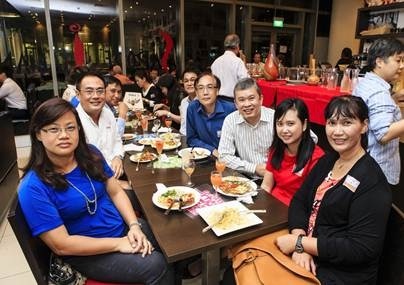 They came, they re-united, but it was not exactly walking down memory lane for alumni guests who attended the FASS Dean’s Alumni Dinner on 18 October 2012. 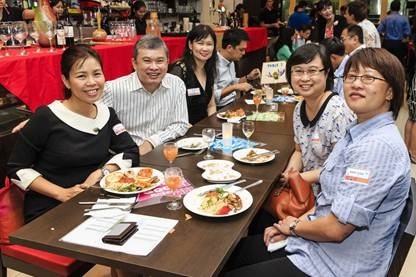 Professor Brenda Yeoh (Dean, Faculty of Arts and Social Sciences) was joined by over 60 alum who were invited to dinner and a walking tour of the University-Town. Having heard and read so much about the new campus, many were eager to see and experience U-Town for themselves for the first time. Six FASS students (themselves staying at U-Town’s Residential Colleges) served as guides, bringing the alum to the Educational Resource Centre, multi-purpose dining halls and a four-bedroom graduate residence. The alum marveled at the spacious and hi-tech environment, wishing they could be students again. FASS hopes to invite more alumni to dinner and tour of U-Town each semester. Geography Honours Class 1990/91 reunites! Click here for more information. Sign up for the module here. 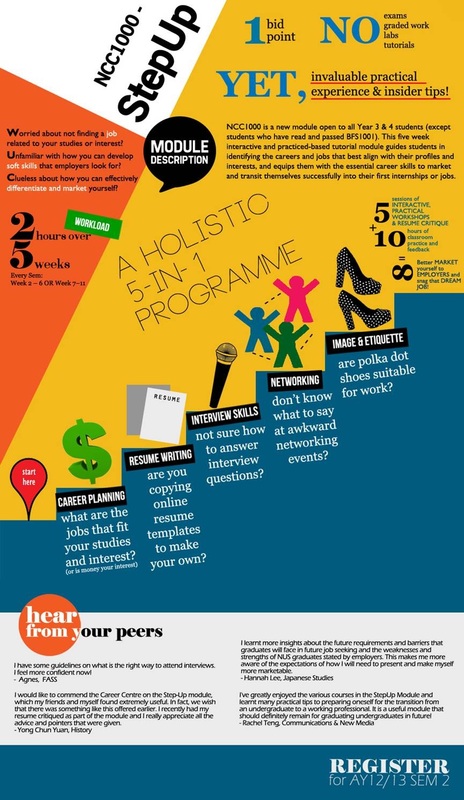 For any queries, email NUS Career Centre at careers@nus.edu.sg. The application for admission into the Life Sciences Minor for AY2012/2013 Semester 2 is now open. The requirements of the Minor and the application procedure are available here. 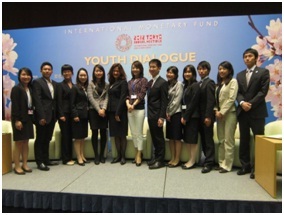 Application for Singapore International Foundation’s Young Social Entrepreneurs (YSE) programme is now open! If you are interested in social entrepreneurship, have already started a venture or are brewing a business idea to help your community, please join us in YSE 2013. Be inspired by leading social entrepreneurs and pick up insights and skills for sustainable social enterprises, participate in overseas study visits, mentorship programme and receive up to S$10,000 to start up your business. Interested applicants are invited to submit your business idea before 21 December 2012. You can also register your interest here first! 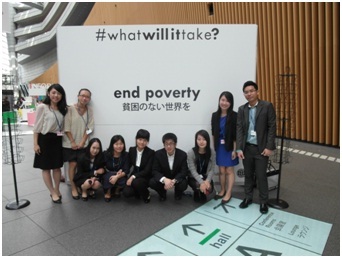 While leading Youth Expedition Projects in Bago City, Philippines during his days in NUS, Ellwyn Tan came to realise the importance of a sustainable solution to rural poverty. Together with fellow NUS students, he co-founded BagoSphere, a vocational training company that provides affordable and effective training programmes specifically tailored for rural youths living at the bottom of the pyramid to access high value jobs. 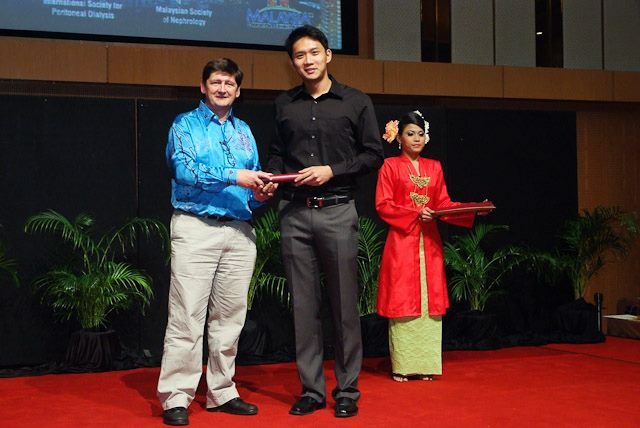 Recently, Ellwyn and one of BagoSphere’s interns, participated in the Young Social Entrepreneur (YSE) 2012, organised by the Singapore International Foundation (SIF), and emerged as one of the top three groups to secure seed funding for their projects. 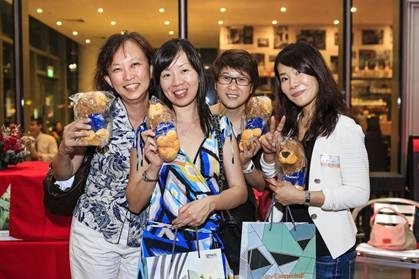 YSE was conceptualised by the Singapore International Foundation in 2010 to inspire, equip and enable young people of different nationalities to embark on social enterprises in Singapore and beyond. The idea is to build and nurture a network of budding social entrepreneurs powered by a desire to create businesses that benefit communities. To find out more about Bagosphere, click here. 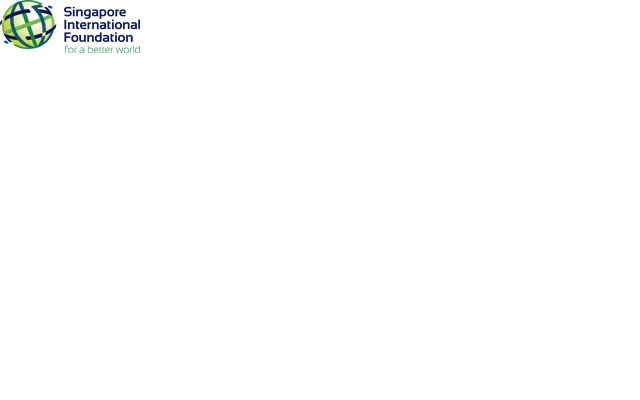 To find out more about SIF’s programmes, click here. Students’ Choice Award – outstanding student feedback based on excellent teaching, approachability and helpfulness. Augustine Kang’s honors thesis project recently won him the Young Investigator Award from the International Society for Peritoneal Dialysis (ISPD)! His write-up for this research is provided below. Congratulations, Augustine! The research that earned the Young Investigator Award from the International Society for Peritoneal Dialysis (ISPD) was titled “Quality of Life & Emotional Adjustment in Peritoneal Dialysis vs. Hemodialysis: the Paradox of Higher Care Satisfaction in Peritoneal Dialysis Patients Despite higher Depression and Poorer Physical Health”. This was presented at the 14th Congress of the ISPD from September 9th to 12th, 2012, in Kuala Lumpur, a biannual international meeting that bring together renal health care professionals, nephrologists, nurses and social workers that work in patient front care. The research thesis work brought up together data from two major research projects that Dr. Konstadina Griva spearheaded. The work provided first data on patient reported outcomes under different models of renal delivery outside tertiary centers, namely at home vs. community care. It is the first investigation to compare Quality-of-Life and emotional adjustment outcomes between patients on community-based Hemodialysis (HD) and Peritoneal Dialysis (PD) patients. Based on a sample of 232 HD and 201 PD patients, the results not only confirmed marked impairments in quality of life in both dialysis modalities relative to general/healthy population, but also identified an interesting paradox: PD patients reported higher rates of depression and poorer physical health compared to community-based HD, yet they also expressed higher satisfaction with care and greater self efficacy in managing their illness. This pattern of results raises interesting questions as to what places patients on home dialysis (i.e. PD) at risk for emotional distress and how to best expand the existing models of renal care, which elicit high patient satisfaction to cater for the emotional needs of these patients. There is the need explore more context of dialysis within the home environment in future research. The clinical implications highlight the importance of psychologists to work closely with nephrologists and their renal teams to identify early signs of emotional distress and provide support as needed. Overall, the research project was identified as a major contribution to the area of psychosocial research by the ISPD and would not have been possible without the constant guidance from Dr. Griva.